The system is in good cosmetic condition and is ready to be re-installed. 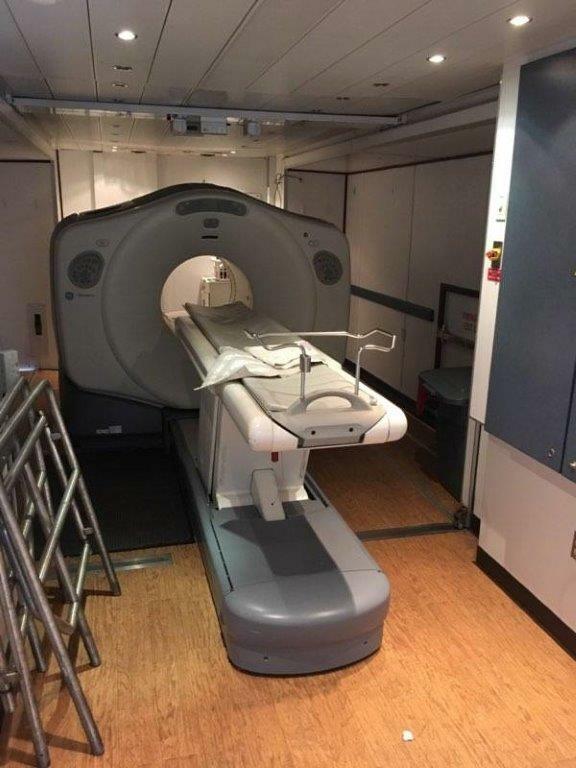 The GE BrightSpeed 16 offers high resolution imaging at up to 0.35 mm isotropic at an optimized dose. 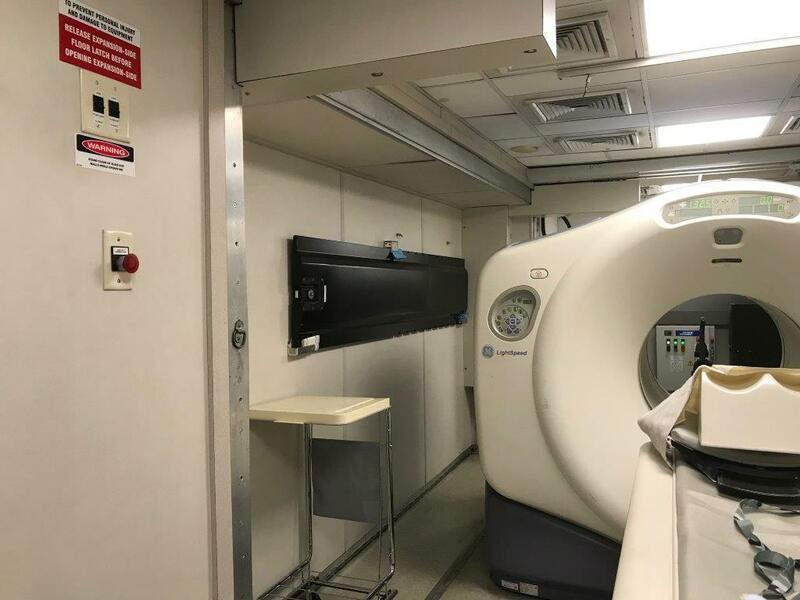 The scanner is equipped with HiLight Matrix Detectors as well as GE’s Volara Digital Acquisition System (DAS) that boosts processing power and reduces noise by 30% – 40%. 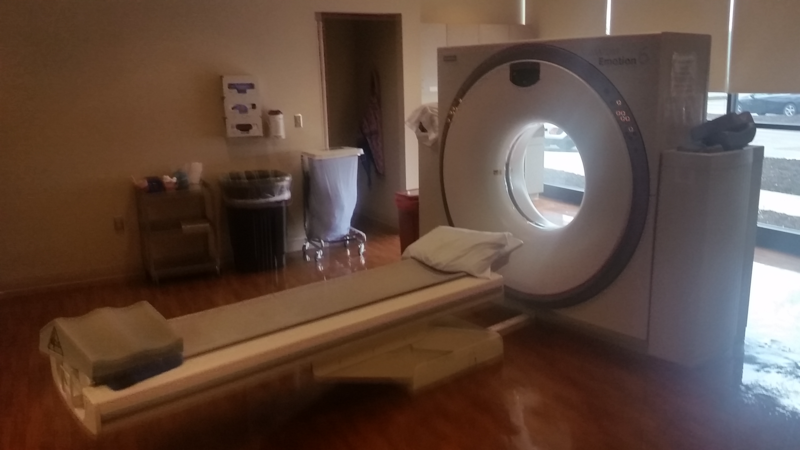 This system will provide you with high quality imaging across a wide range of clinical applications. 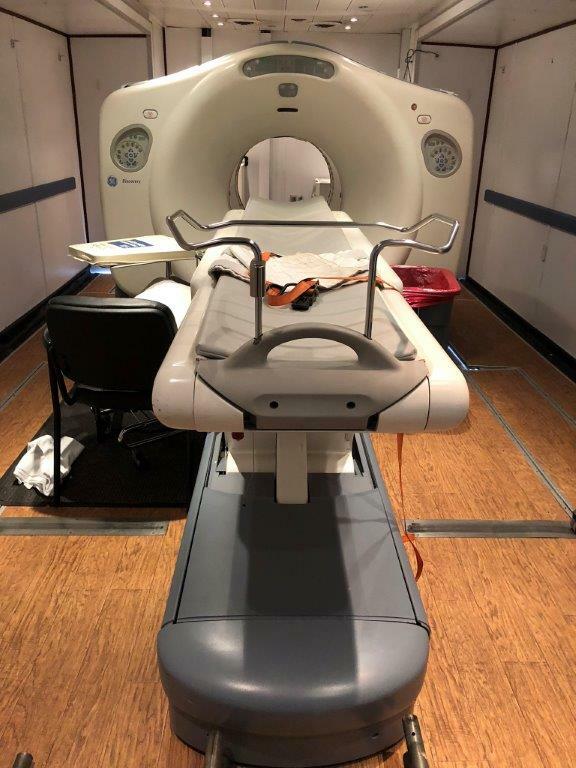 The BrightSpeed offers you a high powered scanner for multi-organ acquisition with sub-millimeter slice thickness and sub-second imaging. It has been designed with the Performix tube that is enhanced with SmartTube technology that offers both improved longevity and reliability. With the proven benefits of LightSpeed VCT technology inside, and a small footprint on the outside, the BrightSpeed Series benefits both practitioners and patients. BrightSpeed maintains the optimal speed, power and resolution needed to aid in non-invasive diagnosis from colon cancer to cardiovascular disease. Plus, by reducing the size of many gantry components, it fits in the same space as many single-slice systems. 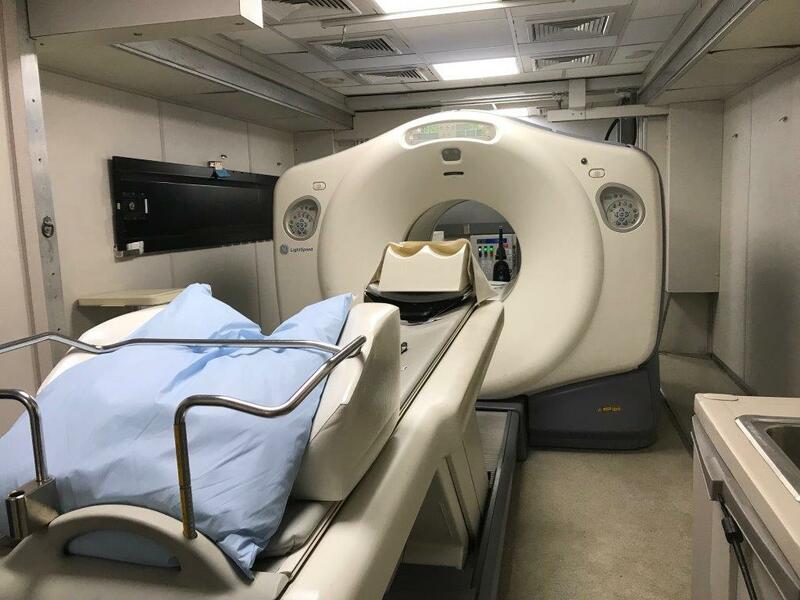 The GE BrightSpeed 16 CT Scanner provides multi-detector CT capabilities with powerful performance, patient comfort, and an ultra-compact design. 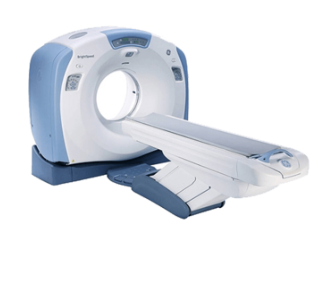 The BrightSpeed gives clinicians the speed, power, and resolution for all kinds of CT applications. 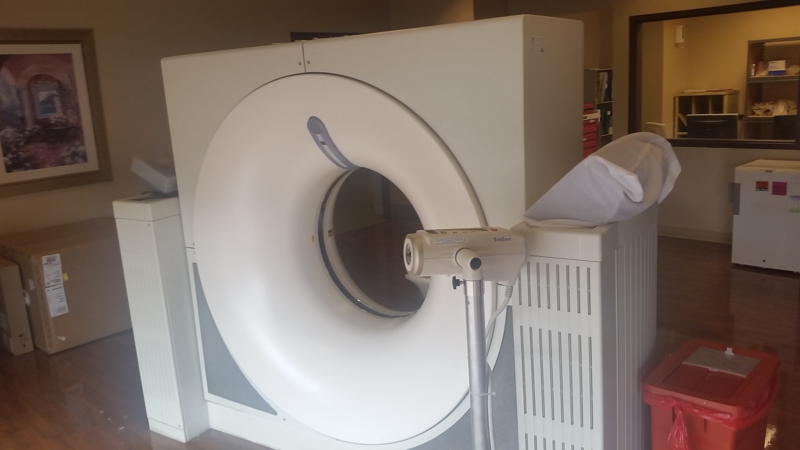 BrightSpeed 16 CT Scanner provides high quality images across a wide range of clinical applications. BrightSpeed Series uses Highlight Matrix II Detector and the Volara DAS with enhanced workflow to provide flexibility and increase patient comfort. Built-in solutions accelerate image acquisition, processing and transfer, boosting clinicians’ diagnostic capabilities. Innovative hardware and software create a convenient ergonomic working environment. Neuro 3D filter, optimized beam, and bow-tie shaping filter. Beam tracking techniques provides real-time follow-up. Increase productivity by adjusting WW/WL for single recon versus double. Facilitate fast and easy patient access and increase user comfort during operation. Excellent computing power manages large, thick-slice datasets easier and faster. One-touch protocol workflow delivers tailored visualization modes.